Suzy Pelta offers the ultimate indulgent quick dessert! 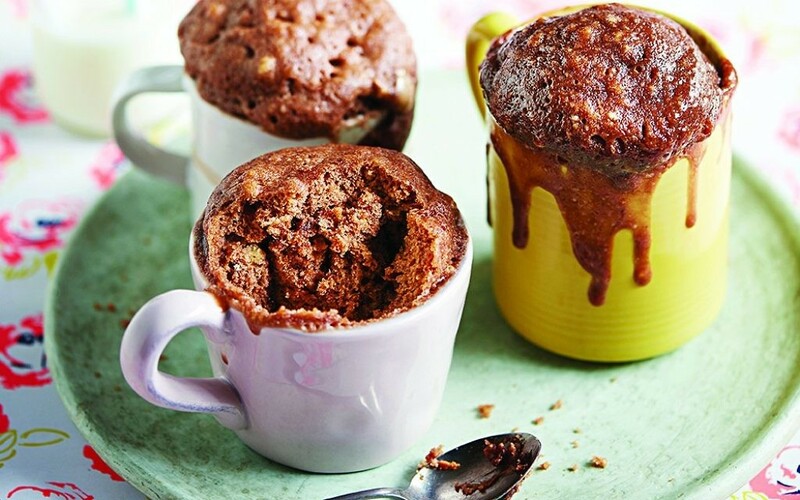 Nutella and peanut butter are a marriage made in mug cake heaven! Not only is the sponge a sweet, salty and nutty delight, but there is also a pool of warm Nutella and peanut butter at the bottom. Using a fork, beat together the vegetable oil and egg in a mug. Pour in the flour and salt, and mix well until you have a smooth batter. Add 1 tablespoon of the peanut butter and 1 tablespoon of the Nutella into the mixture and stir until they are both fully combined. Drop the remaining peanut butter and Nutella on top of the mixture, along with 1 teaspoon of water, but do not mix them in. Microwave for 1 minute 40 seconds at 800W. The cake will rise, and should still be quite wet to touch. (It also may well drip a little down the sides of the mug as it is such a moist batter). 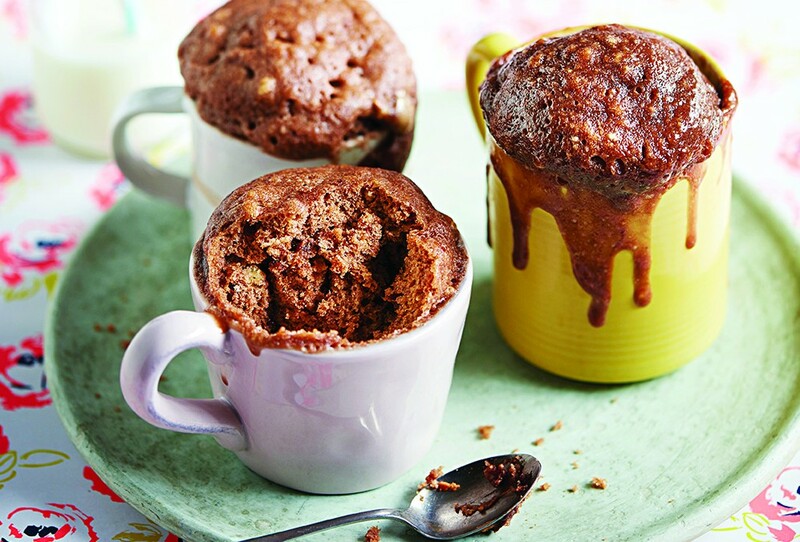 Leave the mug cake to cool for 2 minutes before eating, then devour.